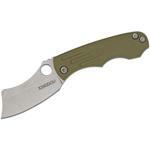 The excellent highly acclaimed Production Mini Samaritan frame lock is now available at the KnifeCenter. This is a strong, compact using knife with style and very little added frills. 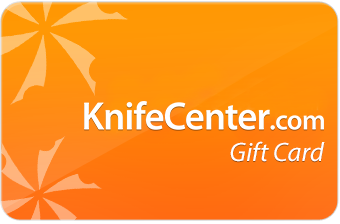 It's a knife built to be used and is perfect for everyday carry, however, we see it as a very capable tactical knife in a pinch should you have to use it that way. You cannot go wrong with any Kingdom Armory offering and they are all proudly manufactured 100% in the USA. 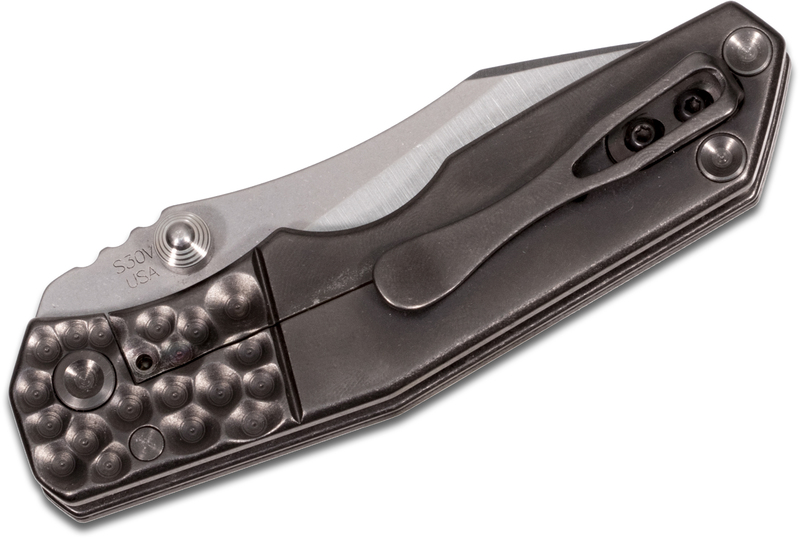 The Mini Samaritan is a small titanium frame lock with lots of cutting power. 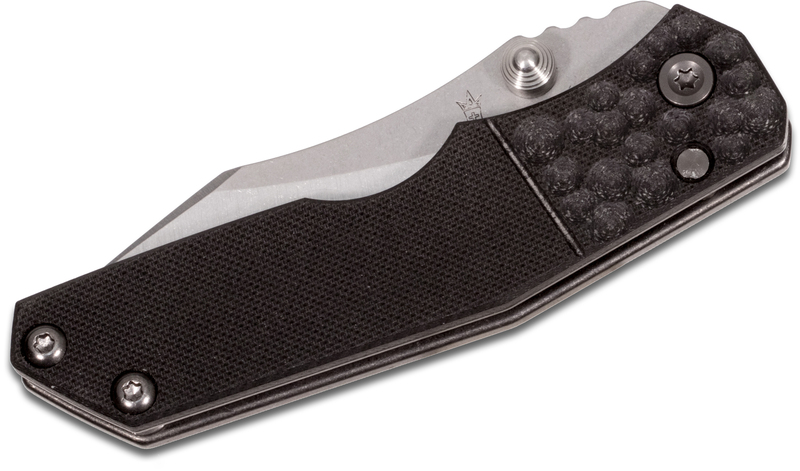 Both the black G10 face scale and graphite black PVD titanium frame lock have a dragon skin textured pseudo bolster which offers improved aesthetics and grip to the design. 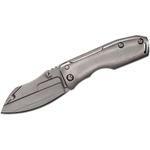 The 2.875" modified deep drop belly blade is made from CPM-S30V stainless steel wearing a double hand hollow grind and two-tone satin/stonewashed finish. All hardware is stainless steel with a sleeved style pivot and bronze washers. Additionally, the lock face has been carbidized to ensure a smooth release. 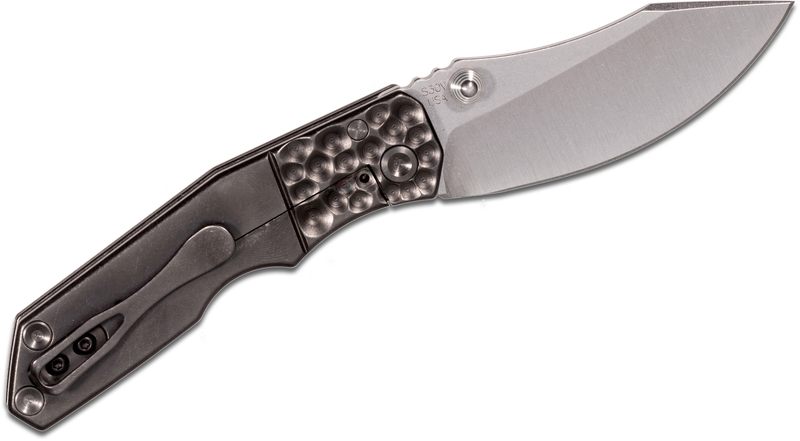 The deep carry titanium pocket clip is very secure and recessed down into its own pocket milled into the frame. Each knife is personally inspected, tuned, and hand-sharpened by Kingdom Armory owner and custom maker, Dave Rydbom, and the Bench Series means that this knife was hand ground by Dave himself. This is as close as you can get to full custom quality out of a production knife. For strength and edge retention purposes Dave has chosen to make use of Crucible's S30V stainless steel, heat treated exclusively by Paul Bos. Currently, all Kingdom Armory Mini Samaritan models are being offered in precision ground 0.135" material with a Rockwell between 57-59 for maximum strength and ease of end-user sharpening. 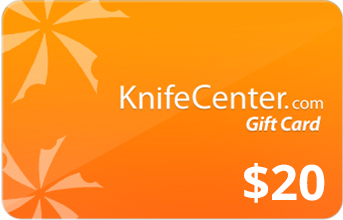 Hey, I wanted to share "Kingdom Armory Bench Series Mid-Tech Mini Samaritan V2 Folding Knife 2.875 inch S30V Hand Ground Blade, Milled Black G10 and Titanium Handles" with you from KnifeCenter.